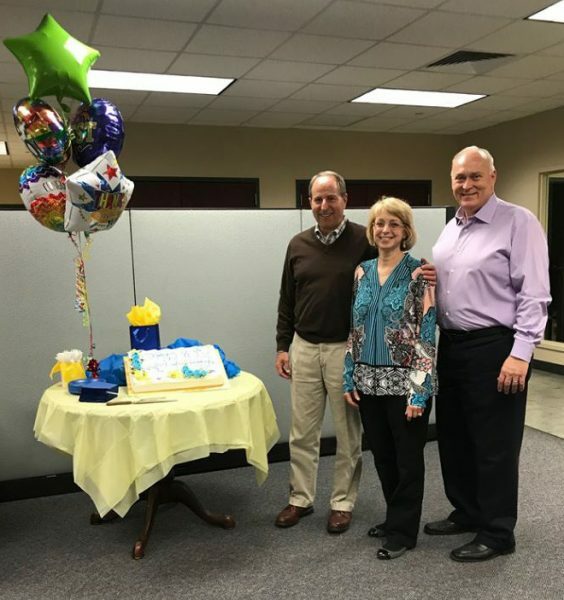 Last week we celebrated a personal milestone at Starr: Kathy Dolly, Starr’s Director of Finance celebrated her 40th anniversary. 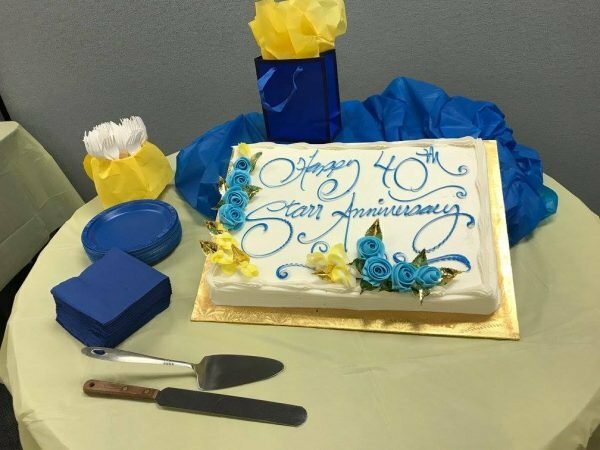 This special anniversary made me think of not only Kathy, but all the wonderful people who have experienced long tenures at Starr. First thing’s first. Let’s define tenure in this context. Tenure is the length of time an employee has worked for their employer. Next, let’s talk more about Kathy (because she deserves it!) This year Kathy is celebrating her 60th birthday (don’t tell her I told you). If you do the math, you can figure Kathy started when she was only 20 years old, back when she was a college student. Kathy has been at Starr longer than she has been married, longer than she has been a mother, and before office computers were a norm (remember carbon copies?)! Plus, during Kathy’s time at Starr, her daughter, Melissa, worked at Starr while she was in high school and college (and has since moved on to a career with a national accounting firm). All in all, there are 19 employees with 25 or more years of tenure at Starr. With a total of 131 employees, that’s almost 15% of us who have worked here for a quarter of a century. Not too shabby, eh? And by the way, the average Starr employee has 12.5 years of tenure. Can you tell we are quite proud that our employees choose to stay at Starr for their career? And what about me? Well, would you count the hours I listened to my dad talk about Starr at the dinner table or those tours I escorted while I was in college or the ad copy I wrote while I was in high school? OK, I guess not! So in that case, I will be celebrating my “official” 19th year at Starr this August! The median number of years that workers had been with their current employer was 4.2 years, down from 4.6 years just 2 years prior. The amount of workers with 10 years or more of tenure with their current employer is 29% (men) and 28% (women). Not surprisingly, Employee tenure was generally higher among older workers than younger ones. For example, the median tenure of workers ages 55 to 64 (10.1 years) was more than three times that of workers ages 25 to 34 years (2.8 years). What does tenure say about you? Please feel free to chime in with your tenure and what you think it says about a person! Looking forward to all your thoughts! Cheers to all of our great employees and here’s to many more years to come!